The original Land Rover was developed to provide a Jeep-like vehicle while utilizing English manufacturing and available post-war materials. They proved quite capable and were easily adaptable for various rural demands typically handled by a tractor. Throughout the years since that original, the Series and Defender models have been through some significant updates but one trait that remained was its simplicity: It was a go-anywhere machine. Sadly, but necessarily in the wake of business, Land Rover has ended production of the last connection to the original concept from the Wilks brothers in the 40’s. Now, all Land Rover models feature a modern monocoque aluminum chassis, fully independent suspension, and power windows. I traveled to the Land Rover National Rally in Moab, UT to gain additional perspectives on the brand’s current direction. Here, it was understood that the newer models’ complexity is necessary for the brand to remain competitive (and meet federal regulations) while providing the capability expected of a Land Rover. The downside of this new tech is that it becomes more and more expensive to diagnose and repair. The charming simplicity and mechanical connection that came with the Series/ Defender has been somewhat washed away by the industry’s upward curve of market expectations and government regulations. The next generation Defender will certainly create a chasm in the brand’s history as it is expected to adopt the existing aluminum chassis, and thus independent suspension. Whatever flaws the new Defender brings may never seem as charming asbefore but expect that it will provide the sense of adventure that has always come standard. Although the details of the new Discovery 5 hadn’t been released in time to review at the Rally, the history of the Discovery is not as storied as the Series/ Defender so one could inject that it’s image is more easily adaptable. 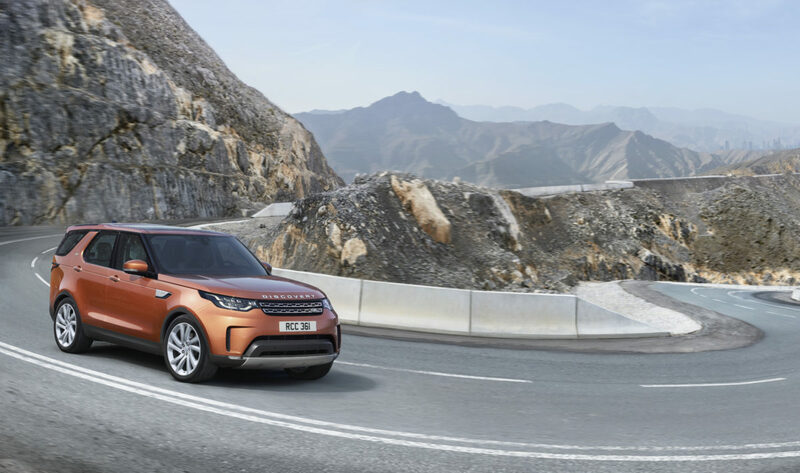 The new Discovery is the latest to transition to the aluminum monocoque chassis and marks the end of the squared-off shape that has traditionally associated with the Discovery. The Discovery 5 is more luxurious, more capable, and more expensive; just as with each generation before it. The marketplace is shaping up smartly for this luxury SUV segment so the new Discovery will certainly be a sales success. Whether or not it gets welcomed into the Discovery family will largely depend on its ability to be the best “4x4xfar”.